Professional. Experienced. Knowledgeable. WE WON'T BE UNDERSOLD! Cheapest Prices for Heating Oil and Kerosene with top quality service! 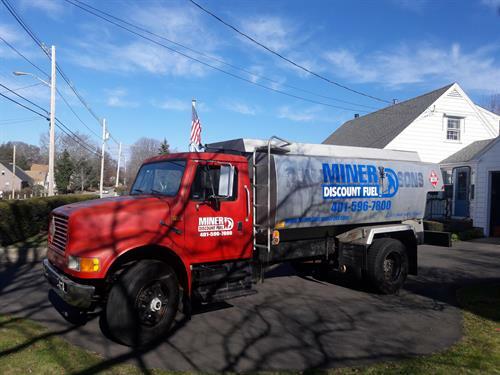 As a third generation owner and President of Miner Discount Fuel, Rob Miner is proud to continue his commitment to the lowest fuel pricing (we WON’T be beat!) and the finest in customer service. We deliver #2 Heating oil for residential and commercial customer; Kerosene for residential customers; On and Off Road Diesel for Fleets and Marinas. 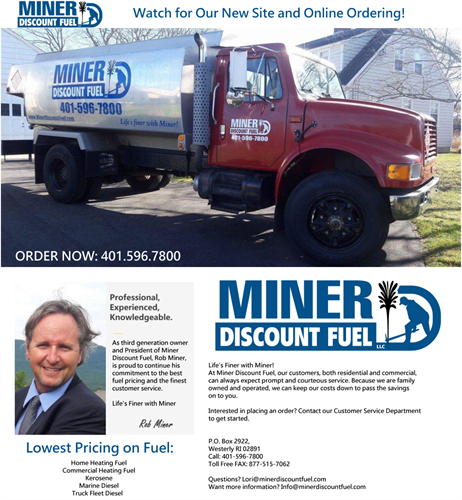 Check our website for prices…we post our prices daily for RI and CT, www.MinerDiscountFuel.com. We invite you join the Miner family .... Life’s Finer with Miner! For any 1st delivery of 150 gallons we are offering $5.00 off to Chamber members Call or order online 401-596-7800. 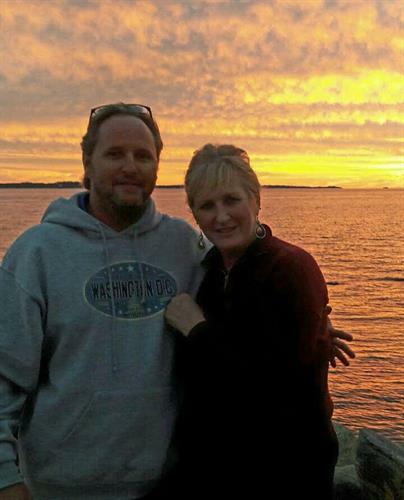 For questions or information email Lori@MinerDiscountFuel.com. We are thrilled to be part of the Ocean State Chamber!